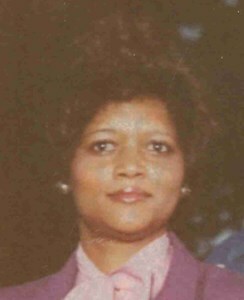 Sandra "Cissy" Brewer, 67, of Louisville, Kentucky, passed away on Thursday, April 11, 2019. She was born on April 19, 1951 in Morganfield, Kentucky to George and Aurelia (Neal) Wilson. Sandra started out her career as the Deputy Center Director for Earle C. Clements Job Corps Center in Morganfield, KY. She then worked in the Governor's Office as an Executive Assistant for the Brereton Jones & Paul Patton Administrations. For the last 20 years she was an Administrative Clerk for the Louisville Metro Police 6th Division. She will be greatly missed by all her family and friends. Sandra was preceded in death by her parents. She is survived by her sister, Wanda Rapier, brother, George Neal Wilson, sister, Lisa A. Wilson, brother, Kenneth E. Wilson, niece, Maria L. Rapier, nephew, Joseph C. Rapier, niece, Adele S. McGuire, nephew, Michael A. Wilson, 5 great nieces, Kennedy A. Rapier, McKenzie A. Rapier, Serenity A. McGuire, Chloe Z. McGuire, Zoe C. McGuire. Visitation will be from 4:00 pm to 8:00 pm on Thursday, April 18, 2019 at Newcomer Cremations, Funerals & Receptions - East Louisville, (235 Juneau Drive). Services will by Saturday April 21, 2019 at 1 pm with a visitation 2 hours prior at the Carr's Chapel Missionary Baptist Church. in Morganfield, KY. Burial to follow at the Odd Fellow Cemetery in Morganfield, KY.
Add your memories to the guest book of Sandra Brewer. My deepest condolences are being sent to the Wilson family. I only have fond memories of Sandra from my childhood and I have often thought of her since I have been an adult. I believe last time that I saw Sandra, was from a distance at my grandmother's funeral (TeNell Brewer) around in 1992. TeNell loved her so much and so did I. To the Wilson family, I will keep you lifted in prayer. Sorry for the loss of your sister.Prayers for Family. Sissy was always so kind. She was Smart and Pretty. Sissy seemed shy at times and didn't talk much. But, nonetheless she loved people I believed. Growing up I was best friends with Lisa . I stayed at their house like it was my own . They all made me welcomed .I Love Sissy ,Mrs Rita Mae , Lisa , Nonnie , Michael my nephew Bubby ,Kenny and Maria and JoJo this is just naming a few. The Wilson are a strong net family with Plenty of Love to spread around. I Pray they find Strength and Peace ????????? ?